What better way to treat your loved ones this Christmas then with a unique selection of naturally, ethically sourced goodies? 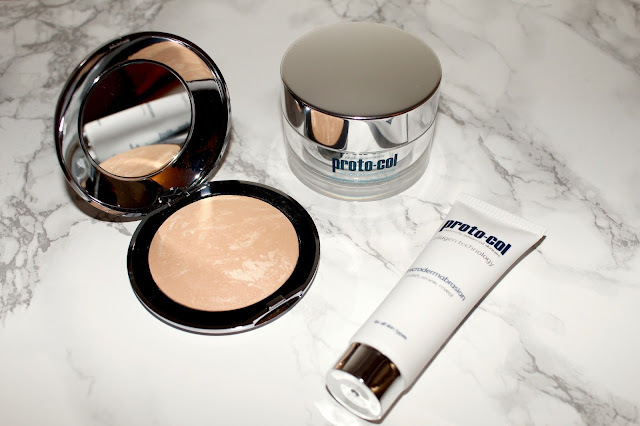 Perfect as stocking fillers or as a treat for that someone special, Proto-col has beauty, cosmetics and skincare for any self-confessed beauty junkie out there. My top picks are the moisturizing facial gel, microdermabrasion, and the baked mineral foundation. The facial gel feels super luxurious yet incredibly lightweight and glides onto the skin effortlessly, keeping you hydrated 24/7. This product can be used as a day or a night cream – personally I like to slather it on at night so I can wake up feeling supermodel moisturized and ready to get the day started! Next on the list is microdermabrasion, which buffs away dead skin cells and smoothes the surface of your skin to give you that lit-from-within glow. The coral seaweed and silk in this product helps to revive the skin, leaving you with a brighter clearer complexion. For anyone who suffers with acne-prone/problematic skin out there like me, then this is a must. My third and final favourite product is the baked mineral foundation, which works for all skin types and gives you an even well-blended complexion. What I like about this product is that it lets your skin breathe, without feeling or looking too caked and heavy – no-one wants that! I use this as a setting powder for my whole face, particularly to set my under eye concealer and any blemishes I’ve covered aswell. Post in collaboration with Proto-col.